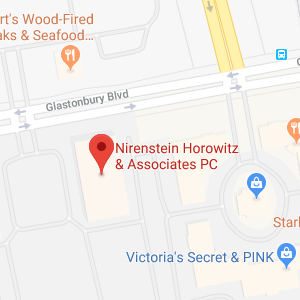 Nirenstein Horowitz and Associates is an elder law and estate planning law firm that has been providing guidance to people in and around Manchester, CT for many years. Manchester, Connecticut is a town located in Hartford County. Manchester has a total population of approximately 60,000. Manchester was settled in 1672. In those days, Manchester was a farming community, and it was known as Orford Parish. The town’s many rivers and brooks delivered the power to support a number of burgeoning local industries. Eventually, Manchester became a thriving industrial center. In the 1838, the Cheney family started a silk mill. The Cheney Brothers Silk Manufacturing Company was the first company to raise and process silkworms and develop the techniques for weaving and spinning silk. The mill became the world’s largest silk mill. The 175 acre company town, including the houses of the owners and workers, the churches, the schools, and the mills are now part of the Cheney Brothers Historic District, an area that became a National Historic Landmark in 1978. Manchester is also the home of The Hilliard Mills, the oldest woolen mill site in the United States. Manchester is known for its friendly, community spirited residents. It is no wonder why Manchester, CT is a great place to retire. Since Manchester is such a fantastic retirement destination, you have to keep your eye on the prize if you want to be able to enjoy everything that this area has to offer when you attain senior citizen status. We are an estate planning law firm, but an estate plan should exist within a comprehensive, holistic financial plan. The way that you plan for retirement is naturally going to impact your ability to leave behind a financial legacy after you pass away. It is important to maximize the value of your individual retirement accounts. You should understand the tax implications and proceed with a full understanding of the rules governing withdrawals. There are traditional individual retirement accounts, and there are Roth IRAs. With a traditional individual retirement account, you make pretax contributions, and the withdrawals are subject to income taxes. The reverse is true with Roth IRAs. You make deposits after paying taxes on the income, but the withdrawals are not taxed. Roth IRAs can have a great deal of value from an estate planning perspective, because you are not required to take withdrawals. Assets could be distributed to a beneficiary after you are gone and mandatory minimum distributions would be required. However, they would not be subject to taxation and the beneficiary could stretch the individual retirement account by taking only the minimum that is required by law. This is a matter that you should discuss with a licensed estate planning attorney. After you retire, your time will be your own. During the first stage of retirement, you may cross things off your bucket list, indulge your passions, and enjoy leisure activities. To be comprehensively prepared for the eventualities of aging, you should also consider the twilight years. The majority of senior citizens will need help with their day-to-day needs eventually. In fact, according to the U.S. Department of Health and Human Services, 70 percent of people reaching the age of 65 will need long-term care eventually. 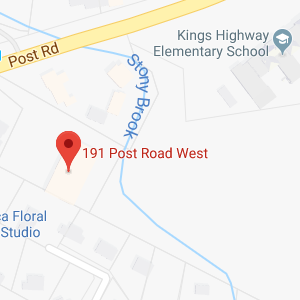 Long-term care is extremely expensive in Connecticut and throughout the United States. Medicare will not pay for long-term care, so there is a gap. Medicaid often fills this gap. Medicaid is a health insurance program that is jointly administered by the federal government along with each respective state government. Medicaid will assist with long-term care expenses if you can qualify. Because it is a need-based program, to become eligible you must fall within certain age, income and asset parameters. Elder care attorneys provide counsel to clients who want to qualify for Medicaid while still keeping a maximum store of resources in the family. This takes careful and informed planning, because the program rules are complicated, and they are always subject to change. We can help you understand your options and take the appropriate steps to preserve your legacy for the benefit of those that you love. One stage of life leads to another, and ultimately, you want to be in a position to pass along a meaningful legacy to your loved ones. There are many things to take into consideration, and the ideal estate plan will vary on a case-by-case basis. You should certainly discuss your unique situation with a licensed Manchester, CT estate planning attorney so that you can make fully informed decisions. We are here to help if you’re ready to get started. To schedule a consultation, call us at (860) 548-1000.